Balaji is also expecting Dhoni to surprise everyone during IPL and World Cup. Former India fast bowler and Chennai Super Kings (CSK) bowling coach, Lakshmipathy Balaji has backed MS Dhoni to be the star performer at the World Cup, saying the veteran wicketkeeper’s experience will come in handy to Virat Kohli’s troops. Balaji, Dhoni’s CSK colleague said that a seasoned campaigner like Dhoni is crucial to India’s middle-order, which lacks inexperience after the top three – Rohit Sharma, Shikhar Dhawan and Virat Kohli. 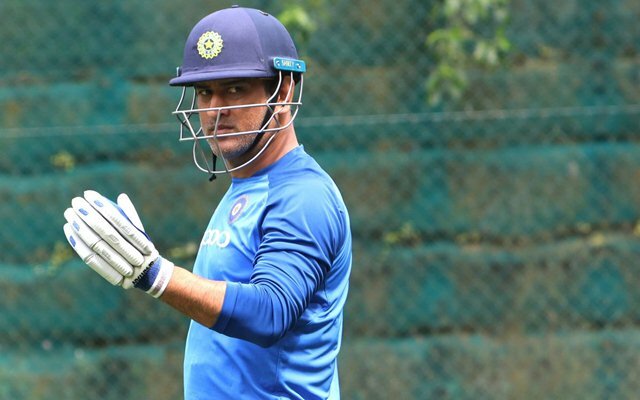 Last year, Dhoni’s poor form in ODIs had raised questions over his place in the team, but due to his impeccable wicketkeeping, selection committee chairman MSK Prasad had made it clear that he will be a part of the World Cup squad. This year, however, the World Cup winning captain has found his form and was the player of the series in the ODIs against Australia in Australia. “MS Dhoni’s experience can’t be questioned. There are not many better than him when it comes to handling situations with maturity. He has been a guiding force for the youngsters. India needs his experience to guide the middle-order batsmen,” Balaji told India Today. “Virat, Rohit, and Dhawan bring in experience to the top-order. What about the middle-order? MS Dhoni will be a big influence in this team,” he added. All eyes will be on IPL 2019 as MS Dhoni would want to get enough game time in order to keep himself in touch ahead of the quadrennial event. Each year, the veteran batsman has surprised his fans with some performances in the T20I tournament, and Balaji believes that this year may not be any different. “Last year, he played higher-up the order for Chennai Super Kings. His batting form was phenomenal. The way he batted, the way he hit the ball was phenomenal. But you never know with MS. He always comes up with a few surprises. We will wait and see the surprises at the World Cup,” Balaji added.